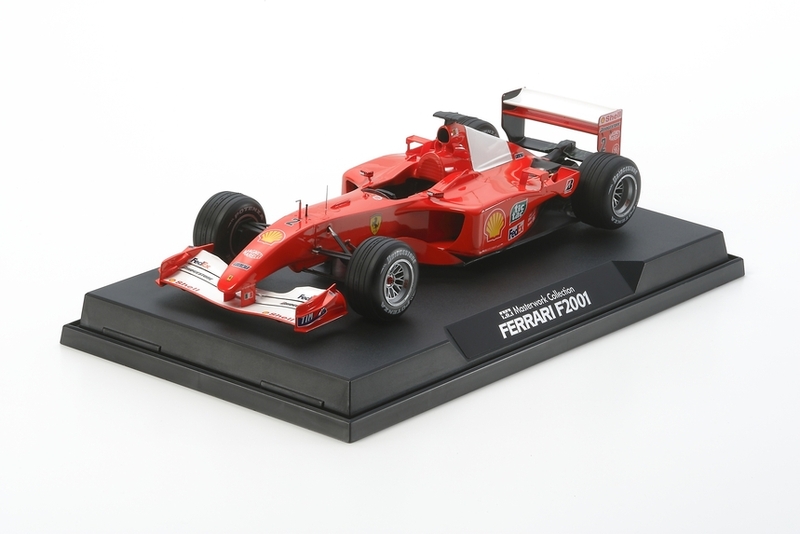 This is a built, painted and finished model of kit item 20052 Ferrari F2001. Tamiya"s expert model builders have hand finished this item to be proudly displayed in anyone"s office or study. 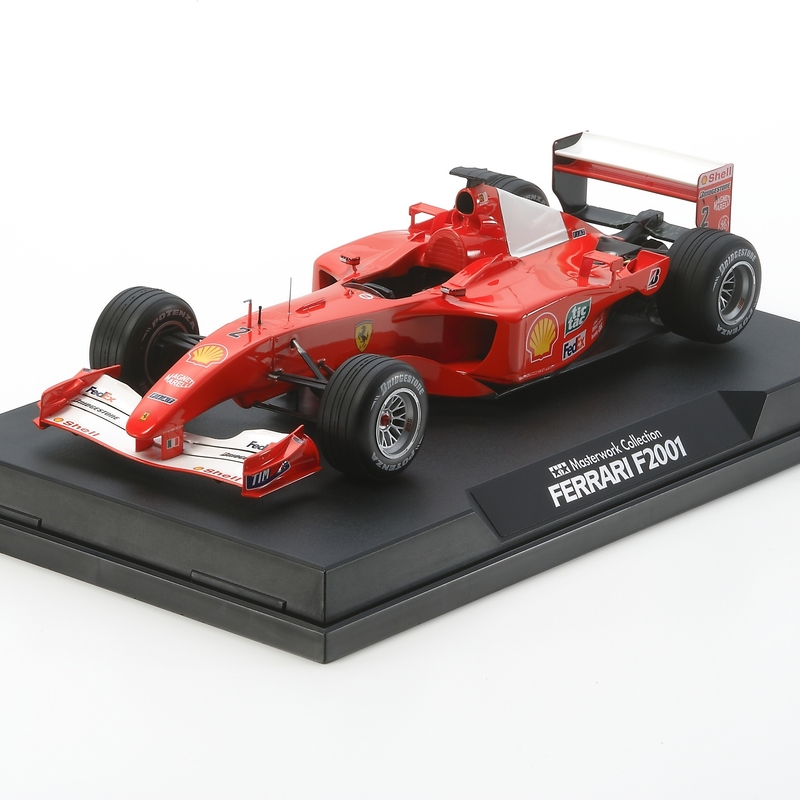 The F2001 proved to be a very successful F1 racing car in the early 21st century, not only taking home the 2001 Constructors" Title for Ferrari but also carrying M. Schumacher to his third Drivers" Championship and his first with the famous Italian team. The 2001 Ferrari machine saw a return to the slanted low nose seen on previous models, but with a more curved shape so as to conform to 2010 regulations. Combined with the Tipo050 3-liter V10 engine, the F2001 was truly the car to beat. Special Feature 1 Comes with a display stand. Special Feature 2 Clear display case and nameplate. Special Feature 3 Detail-Up photo-etched parts have been used to enhance model. Special Feature 4 Color booklet is included to provide a background to the car.